Caption slip reads: "Photographer: Olmo. Date: 1955-07-07. Reporter: Adler. 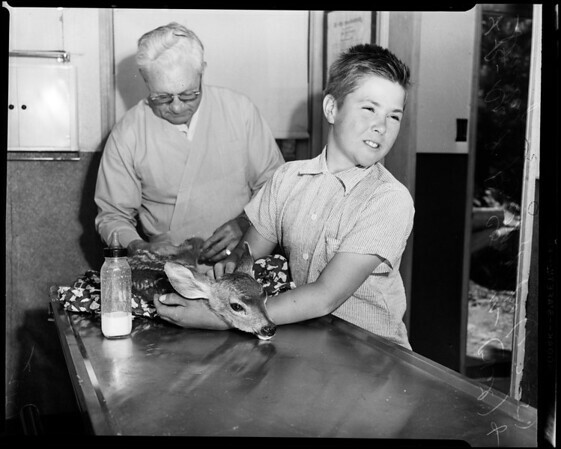 Assignment: Injured Fawn. L to R - 29/30: Dr J.D. Cozzens, Local Vet of Big Bear Lake- checks fractured leg of 2-week-old fawn belonging to Stanley Reith, 10, who is holding him."